Angel Masilang is a biochemist, an entrepreneur, a loving wife, a beloved mother, a practicing Pranic Healer and Arhatic Yoga Practitioner. Angel and her family underwent health crisis in 2016 because of dengue outbreak. She didn’t know how she survived back then. She had to choose from taking caring of her husband, two children, daughter-in-law, her mother and her pregnant house helper. Angel was consumed with guilt but had a strong resolve that next time she would do better. When her son, Macky, took the Basic Pranic Healing class in 2017, he asked her if she would also like to join. She said yes because she had three things in mind. She shared that Pranic Healing gave her these 3 things and more. Angel’s important lesson in Pranic Healing is ‘learning to unlearn‘. She had to unlearn a lot of things. She took up Biochemistry and was disciplined to think like a scientist. She had explanation for everything. She had to unlearn a few technological principles which she learned from working in food manufacturing firms. She also had to unlearn mechanism of action of the pharmaceutical drugs she handled in her 10 year experience as Product Manager. Only when she unlearned the scientific things that she kept in mind did she learn that there is energy. Angel was very skeptical when she the enrolled in the Basic Pranic Healing class. She couldn’t see anything and this goes beyond her Physics books. When she finally learned to accept that there is such a thing as #energy, that is only the time that she began to move slowly and apply the principles of Basic, Advanced, Psychotherapy and Pranic Crystal Healing to her mother. One time, she got a text message from the caregiver. The blood pressure of her Nanay (mother) was abnormally high (145/100). Angel asked the caregiver to monitor her Nanay’s BP and to text her every 30 minutes. Ms. Angel was confined in the four walls of their bedroom. She did the distance healing on her Nanay until such time that her BP normalized. She didn’t need to rush back to Quezon. She said that #Pranic Healing indeed works. Last December, Ms. Angel had no choice but to go to her Nanay to rush her to hospital. Her mother was aching all over, had high body temperature and was restless. When she was discharged, she withdrew. She refused to eat and drink was just staring blankly at the television. Every week, Ms. Angel had to ask a nurse to give her an IV fluid. It was a blessing that Ms. Angel and her family attended the Pranic Feng Shui course given by Master Faith. They did some arrangements in her Nanay’s house. Things improved. Her Nanay began to eat and drink, became more stable and her BP remained normal. They also made arrangements in their house and office. The first P.O. they got from a major drugstore chain is increased by 3000%. Ms. Angel said that Pranic Feng Shui works! The Spiritual Business Management course also helped them realize that everyone in the company has a role to play. They sent their office staff to attend the Basic Pranic Healing Seminar. It was very helpful because as an organization, their staff and family work together and they know what the mission is. Their staff are also able to do healing among their family members. The Applied Spiritual Technology enrichment session helped Ms. Angel to enhance the therapeutic quality and efficacy of their products. They also applied the technology in their farm. The harvest of their red rice was fivefold. She said Applied Spiritual Technology works! Before Pranic Healing, her son Macky was suffering from anxiety. They consulted mainstream doctors, alternative doctors, herbalist, acupuncturist and was led to Pranic Healing. Macky have felt better because he advised that the course will also help Angel. After she took the Basic Pranic Healing course, she also asked her daughter Mona to join. They all took the higher courses in 2017 and early 2018. Her husband, Mar joined later. He was intrigued because there was tremendous transformation in their two children. He took the Basic course in April 2018. Angel shared that she was 59 years old when she took the Basic Pranic Healing course. Her husband was 63 when he attended the class. She feels so blessed that in their family, no one feels young nor old to learn Pranic Healing. They are a family of Pranic Healers and Pranic Healing helped and healed them. They can do everything with Pranic Healing. Angel also has helpers now in healing her mother. Angel knows that their family will be battered by more storms, drenched by heavy rain and riddled with unpleasant changes. But with Master Choa’s teachings, she knows that there will be greater activity and greater success. Last December, Angel had a meaningful conversation with her daughter. Mona noticed that she wasn’t feeling well and asked what’s bothering her. Angel realized that she was afraid to grow old. Mona told her that she will grow old graciously because she is a Pranic Healer and an Arhatic Yoga Practitioner. Master Choa has teachings to help her prepare for the future. Her daughter, the youngest Pranic Healer in their family, gave her that shot in the arm when she was feeling so low and forgetful of all the teachings that she thought she knew. 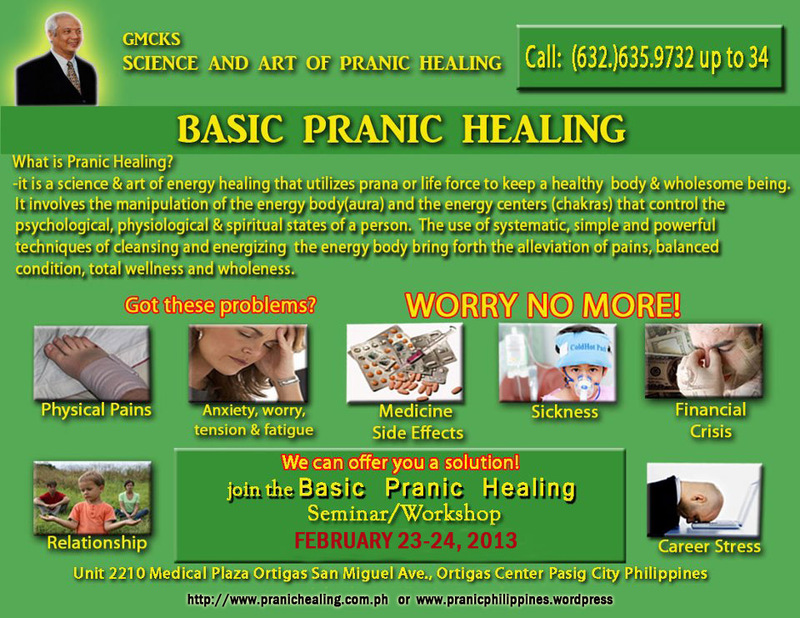 Angel shared that it will help if there are more Pranic Healers in the family. She invited people to join the school and to attend all the courses to discover how it feels to prepare for a future where we will be growing old graciously. Thank you Angel for a very inspiring talk. Listen to more Pranic Healing enlightening talks from inspired students. 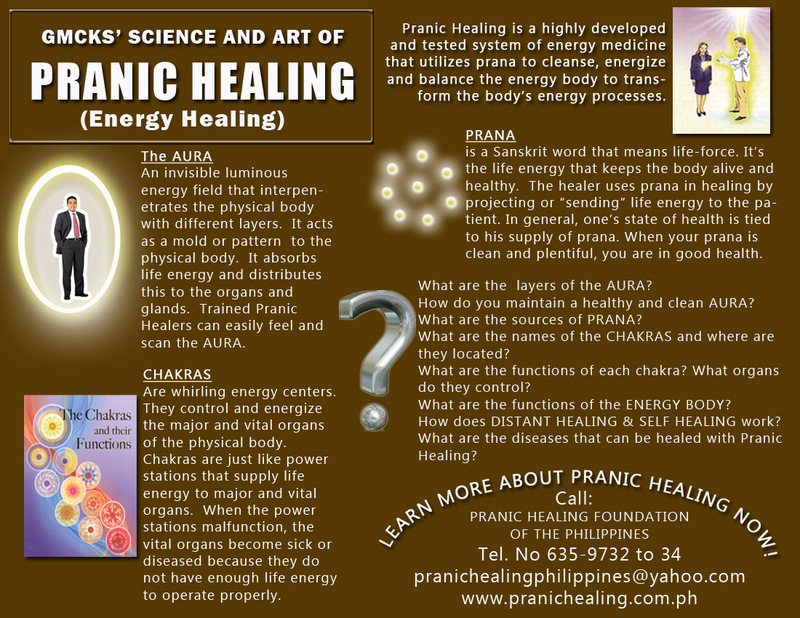 Join us At Pranic Healing Foundation of the Philippines(PHFP) : H.O.M.E. Hope to see you all at our next HOME Session!